The remarkable success of coral reefs is explained by interactions of the coral animal with its symbiotic microbiome that is comprised of photosynthetic algae and bacteria. 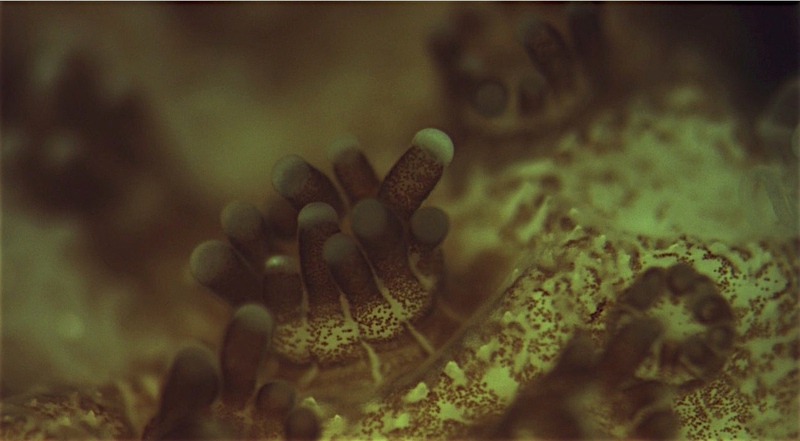 This total organism, or "holobiont", enables high ecosystem biodiversity and productivity in coral reefs. These ecosystems are, however, under threat from a rapidly changing environment. This project aims to integrate information from the cellular to organismal level to identify key mechanisms of adaptation and acclimatization to environmental stress. Specific areas to be investigated include the role of symbionts and of epigenetics (molecular "marks" on coral DNA that regulate gene expression). 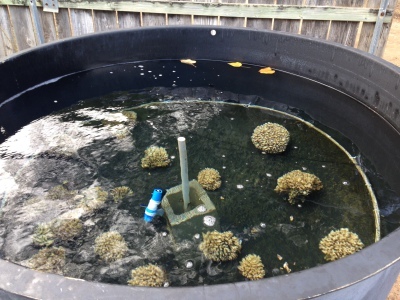 This project addresses how relatively stress resistant and stress sensitive corals react to the environmental perturbations of increased temperature and reduced pH. It utilizes transcriptomic, epigenetic, and microbial profiling approaches, to elucidate how corals respond to environmental challenges. 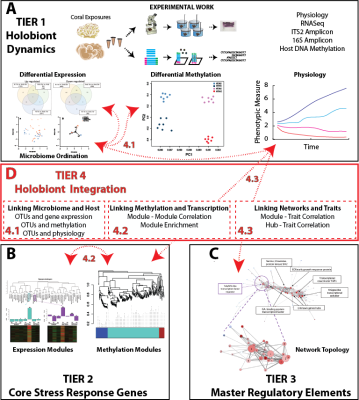 In addition to this profiling, work by the BSF Israeli partner will implement powerful analytical techniques such as network theory to detect key transcriptional hubs in meta-organisms and quantify biological integration. This work will generate a stress gene inventory for two ecologically important coral species and a (epi)genome and microbiome level of understanding of how they respond to the physical environment. Beneficial acclimatization occurs when the environmental signals experienced by the organism modulate their future performance. The capacity for acclimatization in environmentally sensitive organisms, such as reef-building corals, may provide the temporal buffer to increase ecological persistence in a rapidly changing environment. Despite the mounting evidence for beneficial acclimatization, studies of the mechanistic underpinnings (e.g., DNA methylation) are still in their relative infancy, especially in marine invertebrates, like corals. Marine calcificers are under stress from changing carbonate chemistry in the seawater due to ocean acidification. This is a pressing problems in the shellfish industry, as larval and juvenile shellfish are often extremely sensitive to pH changes causing shell formation and deveopmental issues. To assess the longer term effects and mechanistic underpinnings of biologial response to ocean acidification in an important marine calicifier, I am working with Steven Roberts and Brent Vadopalas at UW and the Jamestown S'Klallam tribe to examine geoduck response to OA in a series of experiments. We are examining organismal performance, as well as DNA methylation and gene expression to determine the link between conditioning, phenotype, and methylation. How Resilient are Coral Reefs to Global Climate Change? a) Is the documented phenotypic variation in coral larvae among different physiographic reef zones in Bermuda related to genetics and/or epigenetics (e.g. DNA methylation patterns)? b) If adult corals are transplanted among these physiographic reef zones in Bermuda, do we see a change in their larval phenotype, genotype and physiological response? c) What are the mechanisms of acclimatization of various life stages of corals (adults, larvae, juveniles) reared under mesocosm experiments mimicking a variety of future climate change scenarios (e.g. temperature, ocean acidification)? Is there memory that retains a positive response to stress even after a period in normal conditions? 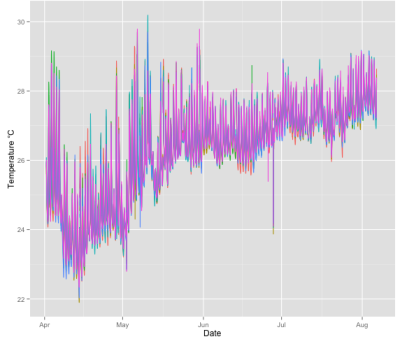 What are the windows of sensitivity that elicit positive acclimatization? 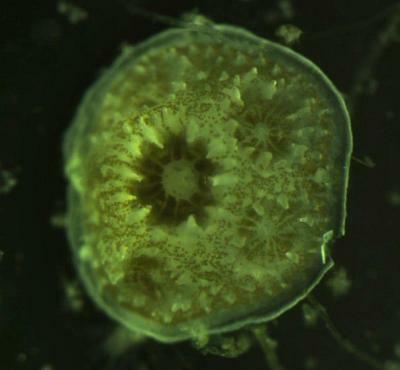 Coral Reproduction under Global Climate Change? Global changes are threatening the survival of coral reefs worldwide and the question is whether corals will be able to survive to the changes occurring in the marine environment in the 21st century. Persistence of coral communities will not only depend of the intensity and frequency of environmental perturbations, but also on how energy resources of corals will be allocated among functional demands (survival, reproduction and growth) in response to stress. 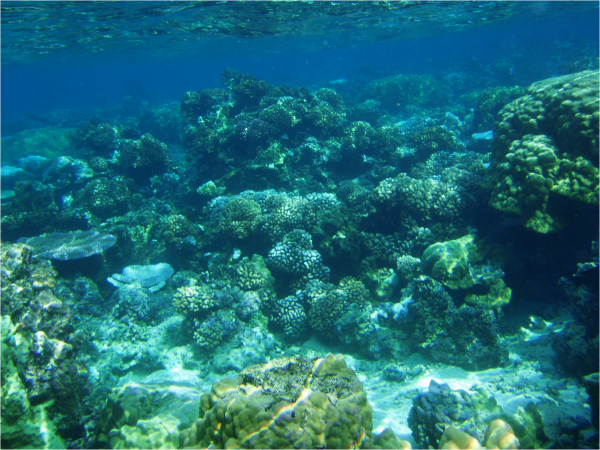 Sexual reproduction is a key process that allows for enhanced genetic diversity, renewal and persistence of coral populations, but in a changing world where corals are threatened by increasing pressures from the physical environment, the question is how coral reproduction may cope with physical factors associated with climate change. Interestingly, certain corals are able to live in drastic environmental conditions of pH or temperature suggesting that some corals possess more efficient mechanisms to face global changes. However it is currently unknown how stress may affect their reproduction and the released larvae and gametes. 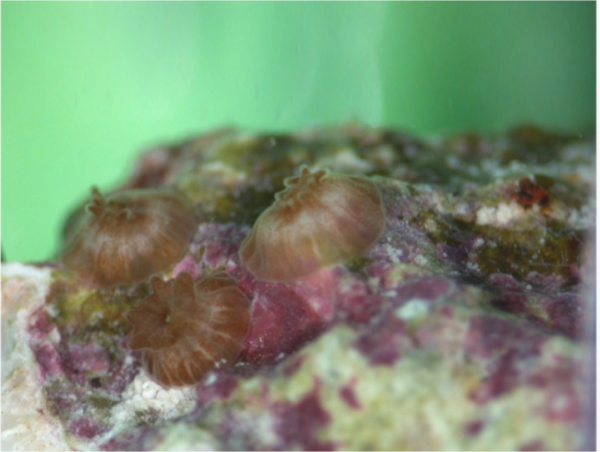 The research on coral reproduction will be focused on two topics: 1) understanding how stress affect coral reproduction and maternal transfer and 2) identification of epigenetic markers associated with intra- and trans-generational inheritance. Reef-building corals have formed an intimate symbiosis with single-celled endosymbiotic dinoflagellates in the genus Symbiodinium. Here, Symbiodinium photosynthesize and translocate carbon products to the host (e.g., glucose, glycerol, and lipids), along with organic building blocks (amino acids). The cnidarian host, in turn, provides the Symbiodinium nutrients (NH4+, PO4-), metabolic carbon dioxide (CO2) and a physical habitat. There is strong evidence that the differences in Symbiodinium types result in functional differences in coral holobiont performance. Due to these physiological differences, it is posited that symbiotic organisms provide the potential for corals to resist environmental stress. In light of this, it is necessary to assess the diversity and function of Symbiodinium across a wide range of coral-Symbiodinium interactions to determine the potential for changes in symbiont communities to modulate the effects of a changing climate. We are assessing Symbiodinium diversity across a wide range of species and environments using Next Generation Sequencing approaches.